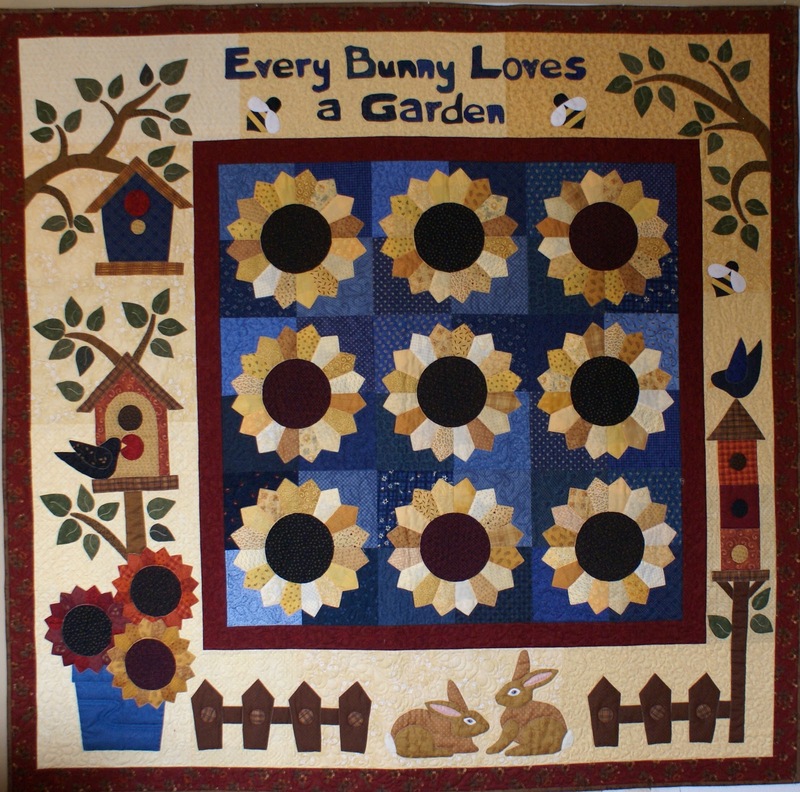 I am very happy to join Blogger's Quilt Festival- Fall 2011 and to show you my "Every Bunny Loves a Garden" Quilt. 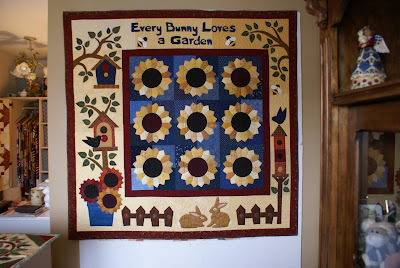 The quilt was finished a few years ago. 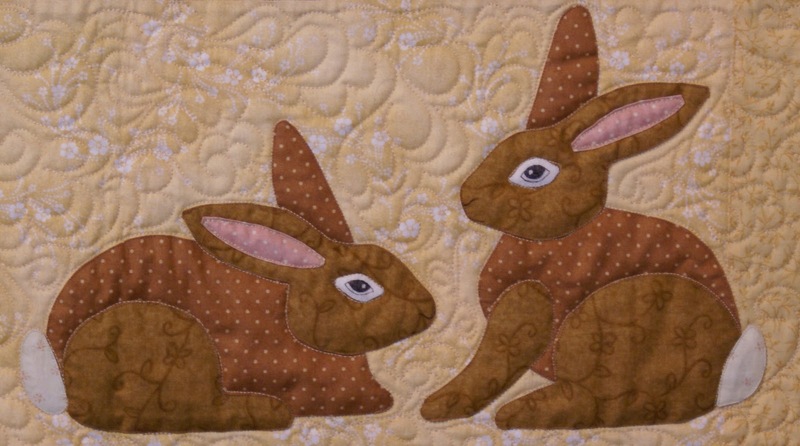 It was fun to design and I love the two little bunnies - they are my favourite part of this quilt. On the back I tried to use up as much of the blue and yellow fabric as possible. 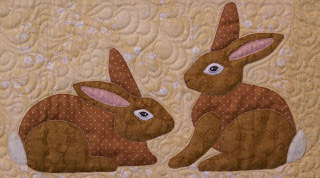 Thanks for visiting my blog and thanks to Amy for once again hosting Blogger's Quilt Festival. What a warm welcoming quilt! You did a beautiful job! Oh my goodness what a lovely quilt! I love all the applique and the back it too beautiful to be on the back. Congratulations on such a treasure! Beautiful, beautiful! 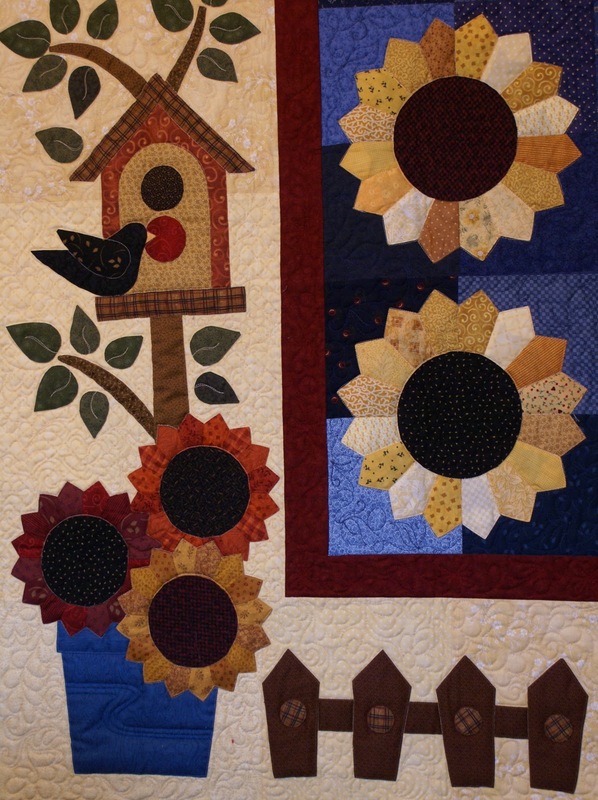 I love the applique and all the sunflowers. What a bonus to have the back pieced also. Glad I stopped by! 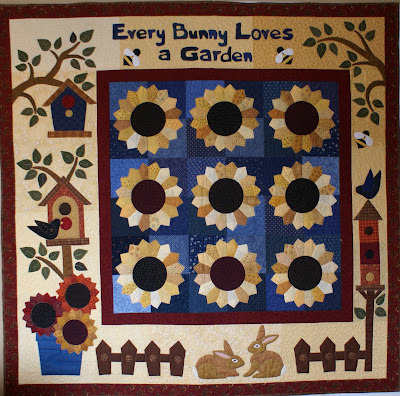 What a fun and happy sunflower quilt! I love how you used assorted tones of blues for the ground to make the flowers 'sing' against it. I also love the 2 bunnies and the birdhouses, and bees! I love the whole thing! 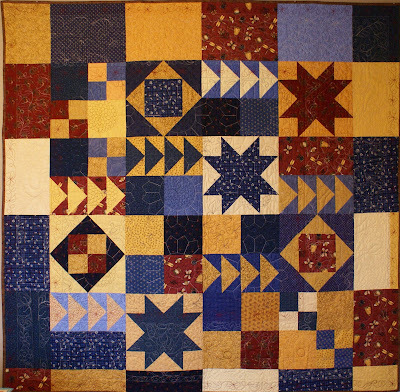 Your quilt is absolutely beautiful. :) Great work. Lovely quilt and the back is as interesting as the front .... neat idea!